Going out on a limb, Karnivool is the best contemporary band in Australia. They are musically intelligent, exploring polyrhythms, independent harmonic layering, novel structures and chromatic melodic sequences. As drummer Steve Judd reminds us, toddlers can count to four. Possibilities beyond this are enticingly infinite. All facets of the band’s technique are masterful. They are wondrous innovators, traversing musical spheres few outfits would confidently explore knowing they had to keep paying the rent. However Asymmetry, the Vool’s third album, topped the ARIA charts in its first week of release. This is no mean feat for such a musically adventurous band. Karnivool does not spend its lyrics on cheap pillow talk, rather, existential angst and wonder. There is an element of despair at the state of the world and human frailty in forging wrong paths which result in far-reaching consequences. Personal responsibility is expressed, such as in the powerful The Refusal, where the drums, bass and guitar literally throw our senses around, so that we are at the mercy of the crashing waves referred to in the lyrics. However there is an equal embracing of individual good-heartedness and ultimately the power of music and those with vision to transfix and transform. The anthem Alpha repeats, ‘break the mould, let’s shake the ground, wreak havoc’ and this is what the band does convincingly throughout. 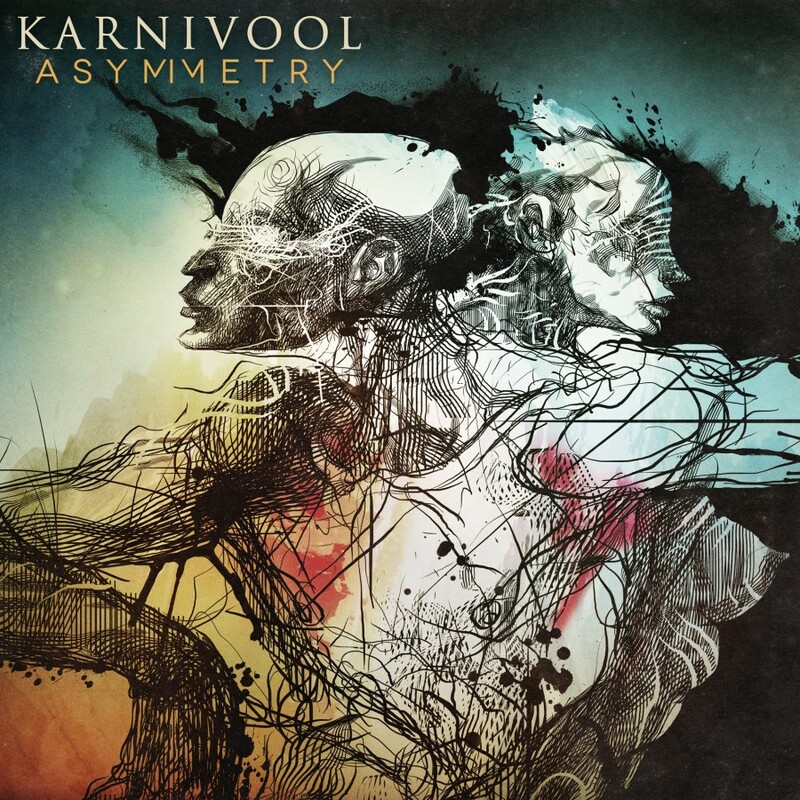 Karnivool has signature melodic phrases and harmonic developments, but this album is no re-invention of its previous work. With producer Nick Didia, they have created a seamless connection between one track and the next, despite vastly different styles. Their music ranges from alternate metal to acoustic soundscape and it is one of the band’s endearing characteristics that members obviously cherish and love messing with sound. Attention to the detail of each acoustic happening on every track is remarkable, for example on A.M WAR and We Are. The title piece, when listening through headphones, is like the sound of one’s internal body mechanism with distant, past voices which suddenly explode in distorted guitar whilst the industrial cogs and wheels keep turning, gradually overlaid and replaced with a lone, disturbing, continuous voice. The use of repetitive motives in a number of pieces is brave, and highly effective. Float is a life-carousel. It has that same, circular motion created in Asymmetry, but with an innocent child-like feel forged with the use of massive guitar resonance, bell-like overtones and echoing female background vocals complementing the strength and purity of Ian Kenny’s voice. The song explores the irony of often missing what is actual in our desire to calibrate our own sense of reality. There is a strong sense of time, of routine, of the trap of the ordinary and of selective blindness to the future and the profound on this album. There is much unease and disarray. The album is bookended by the pieces Om and Aum, Om’s phonetic equivalent, and it is as though the pieces in between throw these sound mantras into the ether to see if any order, symmetry, is restored when they fall back to earth.